Last week we studied how characters change, and this week’s worksheet offers a simple method for visualising that change. Here is his chart for Cinderella. Cinderella begins the story at a low-point – her mother has died, and her father has married a horrible woman with horrible daughters. The steps represent the Fairy Godmother’s gifts, the sharp fall, the stroke of midnight, and the infinity sign, the “happily ever after”. Despite the simplicity of the idea, and Vonnegut’s light-hearted approach, he had previously proposed exploring this theory in his MA dissertation. “But then I said to myself, Wait a minute — those steps at the beginning look like the creation myth of virtually every society on earth. And then I saw that the stroke of midnight looked exactly like the unique creation myth in the Old Testament. And then I saw that the rise to bliss at the end was identical with the expectation of redemption as expressed in primitive Christianity. However, there is something missing from Vonnegut’s diagrams. He considers Cinderella’s beginning state as miserable because her father has remarried. But clearly her misfortune is the Stepmother’s good fortune. In fact, it may be the case that an antagonist’s character arc is the inverse of the protagonist’s. Another (related) difficulty is one that Vonnegut addresses when he’s talking about Hamlet. Namely, what is good fortune, and what is ill fortune? Is the stroke of midnight ill fortune? Yes, it takes Cinderella away from the Prince, but perhaps we could argue that the time they spend apart is necessary for their romance to blossom? What about losing her shoe? What about making it back to the carriage in time? Whether we think about the matter on a cosmic, personal, or narrative level, it’s difficult to pin down, which should perhaps tell us something about our perception of our own good or ill fortunes in life! The character’s status in the story world. The character’s spatial proximity to a goal. The character’s mental or emotional proximity to a goal. Your choice will depend on what you want to gain from plotting your character arc. Refer to the suggestions at the beginning of this article and decide which would be most helpful to you in writing or editing your story. In a sense, this is not a surprising pattern. It is familiar to us from poetic metre, and logically, these 6 shapes comprise all of the permutations of a binary “foot”. But they’re still a helpful starting-point for constructing your own character arc. You can also play around with the online Hedonometer the researchers developed, and view the curves for many public domain titles, and for the Harry Potter books. 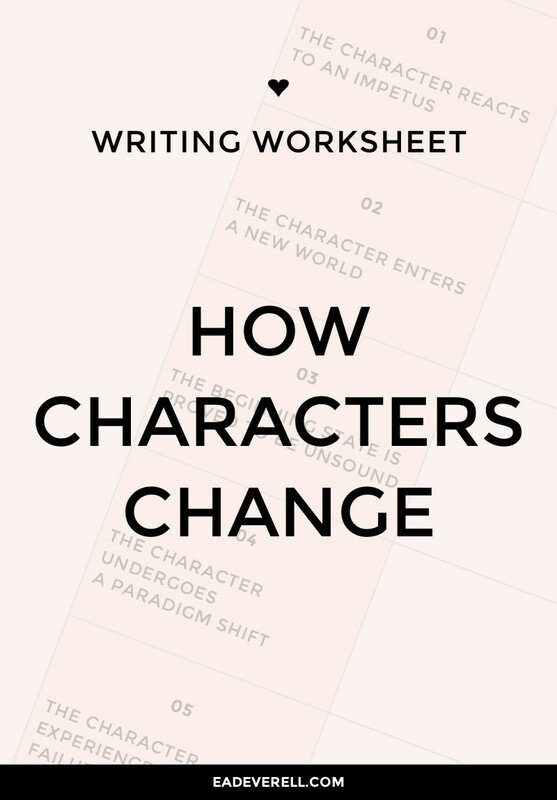 Last week’s worksheet on character change offers a simple overview. This writing workshop walks you through the plotting method I use, which integrates the character arc. Dislike to like – a shift in perspective is a key stage of the character arc (see #1), and this worksheet walks you through changing your (or your character’s) mind about a subject. 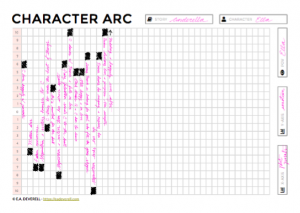 If you’re enrolled in The One Page Novel, you can read the lesson titled, Failed Heroes, Tragic Heroes, Antagonists, Villains, and Anti-Heroes for more guidance on developing inverse character arcs. 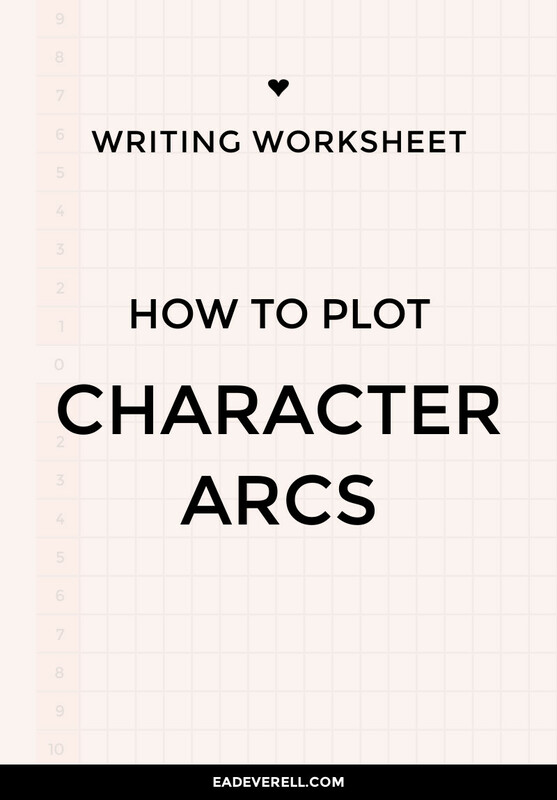 You can pick up a plot formula cheatsheet to compare how different approaches to structure develop the character’s journey. What is a Strong Character Arc? When readers and writers speak of a “strong character arc”, they usually mean that the character makes considerable progress during the story. The easiest way to ensure this is to place the beginning and end states (Stasis and Resolution in The One Page Novel), as far apart as possible, in order to allow the character room to grow. Making sure that the character has a strong motivation for the actions they take in the story can also make the character arc feel well-founded and meaningful. Similarly, if the character fails to reach their story goal, then a strong character arc should lead them inexorably to failure. In this case it may help to explore the character’s flaws, and emphasise the difficulties they face with multiple try/fail cycles. However, a strong character arc doesn’t ensure a strong (or “successful”) character. Nor does every strong character have a strong character arc. Characters like Sherlock Holmes seem to hold a fairly flat, linear character arc, but still be successful. On the other hand, Sir Arthur Conan Doyle does offset Holmes with Watson, who certainly does change throughout each story, and from story to story, so point of view once again comes into play. Here is a highly-simplified example of a rather generic version of the Cinderella story. 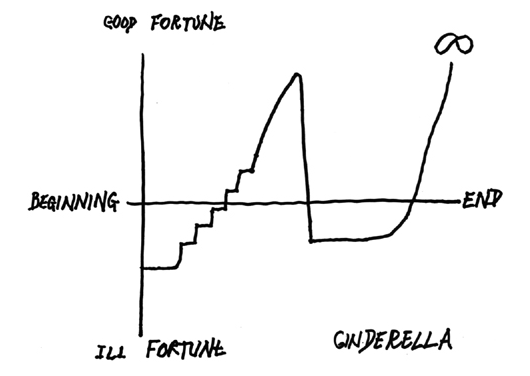 The vertical axis represents Cinderella’s emotional well-being, and each column of the horizontal axis represents a narrative event that affects her emotionally. Please note that if you only include scenes that affect the character’s score, as I did in this example, then the graph won’t accurately depict the passage of time on the x-axis, in the way that Vonnegut’s story shapes does. Instead, you can include every plot point in the story, or number the horizontal axis by time unit, such as hours or days. Decide what information you want to glean from your character arc. 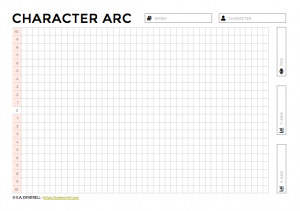 Write in the name of the story, and the character whose arc you’re studying in the top right. Note down the character whose POV you’re using to study the character arc. This can be another character in the story (such as the antagonist), or it could be the narrator or reader. Decide on your scale for the x- and y-axes and note them in the space on the right. Colour in the appropriate box, and write a brief summary of the relevant plot point in the same column. In my example, I wrote positive points going one way, and negative points going the opposite way. Consider the dynamic range of the story. In other words, how much variation is there between the highest point and lowest point, and how much does the character arc fluctuate? Depending on the sort of story you want to tell, you may want this to be high or low. Find ways to increase the impact of a scene by placing it after a scene which it contrasts. For example, place a very high-level scene after a very low-level scene. How much difference is there between the character’s beginning state and their end state? If you want your character to grow more, you can find more guidance in this article on how characters change. Look out for parts of the story that stay at the same level for a long period. Is this necessary, or could there be more variety? Is there a period of time at the beginning or end of the story where the metrics are fairly average? This may indicate that you could start the story later, or end it earlier.